In Knazawa, there are vegetables called “Kaga yasai”, that literally means “vegetables of Kaga”. They are grown Kaga region – Kanazawa and southern part of Ishikawa prefecture. 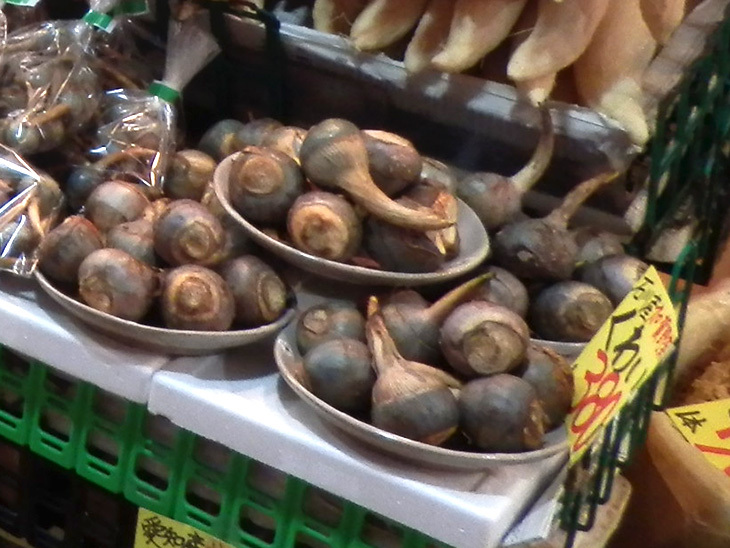 They are commonly eaten by Kanazawa local people and you can find them in Omicho market. Some local restaurants offer dishes with local vegetables. Kinjisou is an Asian native plant. In southern part of Japan, it is considered as weed, however it is grown and eaten in Kanazawa. 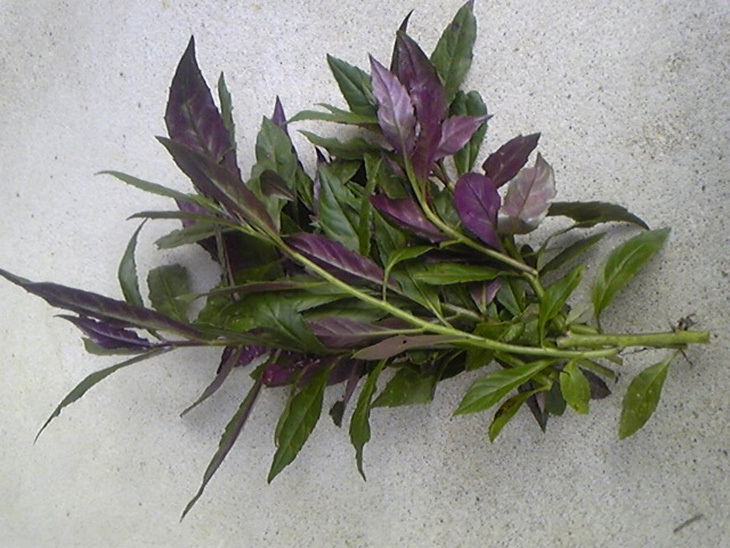 The leaves are like spinach but the colour is slightly purple. In Kanazawa, people boil it and eat with soy sauce. 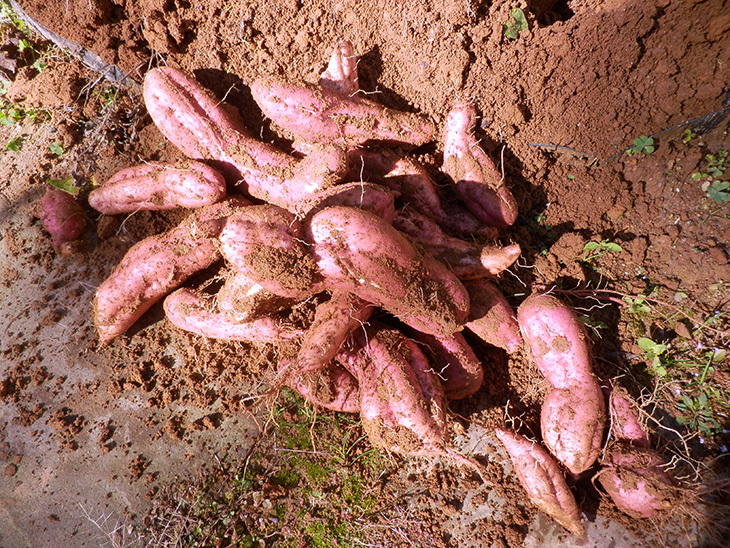 Sweet potato was began to glow around 1700 and getting popular after samurai period was finished in 1868. They are grown near see of Japan that soil is dry and sandy. 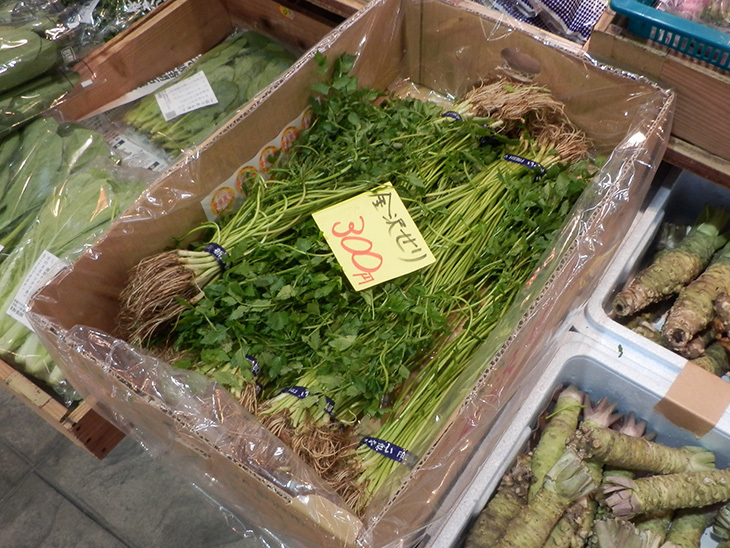 Japanese parsley is a herb having strong flavor. The stem is about 40 cm long and thin. Leaves are like Italian pasery. Japanese parsley in grown in pond in wild, so the grown field is filled with water. Bamboo grows in suburb of Kanazawa in wild. The harvest season is May, so you can find them in vegetable shops in Omicho market or supermarket. 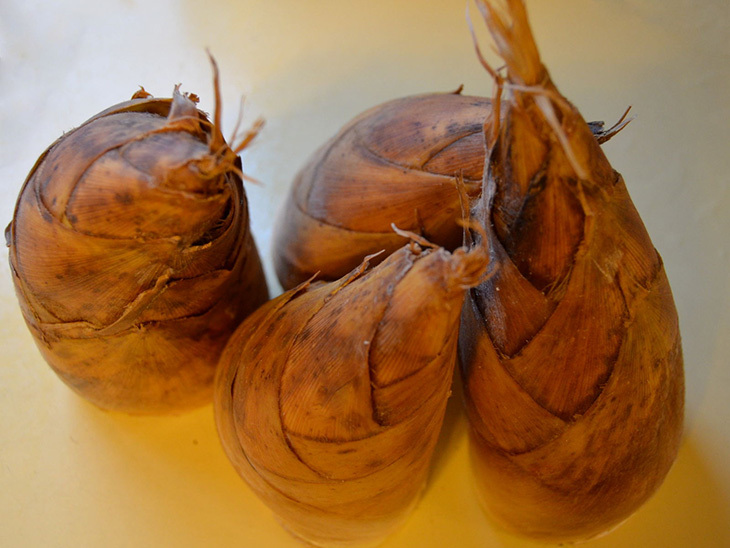 Kanazawa leek is particularly long – it sometimes becomes 1m long. Thickness is about 2cm. Good for Japanese potofu or sukiyaki. 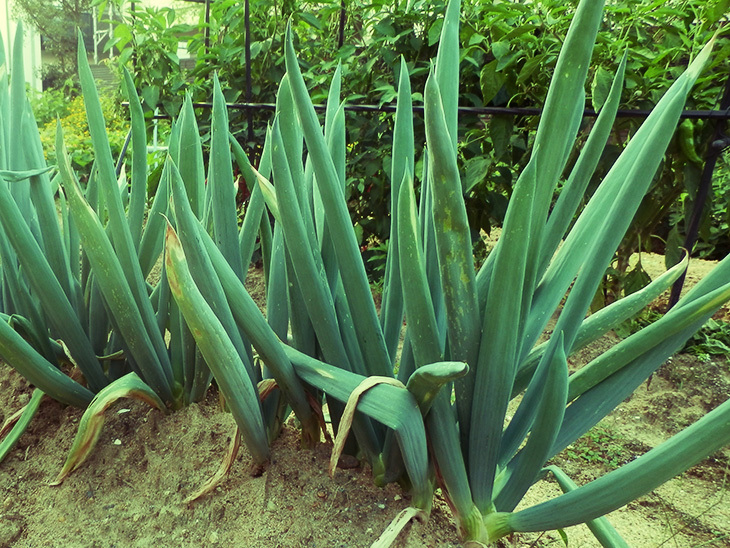 Arrow head, called kuwai in Japanese, is grown in sticky soil. In Kanazawa, it began to grown during samurai feudal period. It is commonly eaten in new year. Chinese radish is commonly eaten in Japan. Kanazawa’s Chinese radish is 8cm diameter and 22cm-25cm length – a little shorter than normal Chinese radish. Japanese cucumber is always thin and long, however Kanazawa’s cucumber is thick and big. 6-7cm diameter, 22-27cm length and 1kg heaviness. Normal cucumber is used for salad, however Kanazawa cucumber is used for stew or stir fry. Kaga beans, hyacinth beans, are widely grown India, China and south east Asia. The beans were introduced to Japan in the 10th century. In Kanazawa, they were brought around 1945. The plants prefer acid Kanazawa’s soil.